Whether you are planning a small BBQ party in your backyard or an al fresco dining, these simple prep tips can help you avoid the last minute hiccups. From the food to the drinks and the games, make sure you have a checklist that comes in handy while preparing for your barbecue party outside of the kitchen. 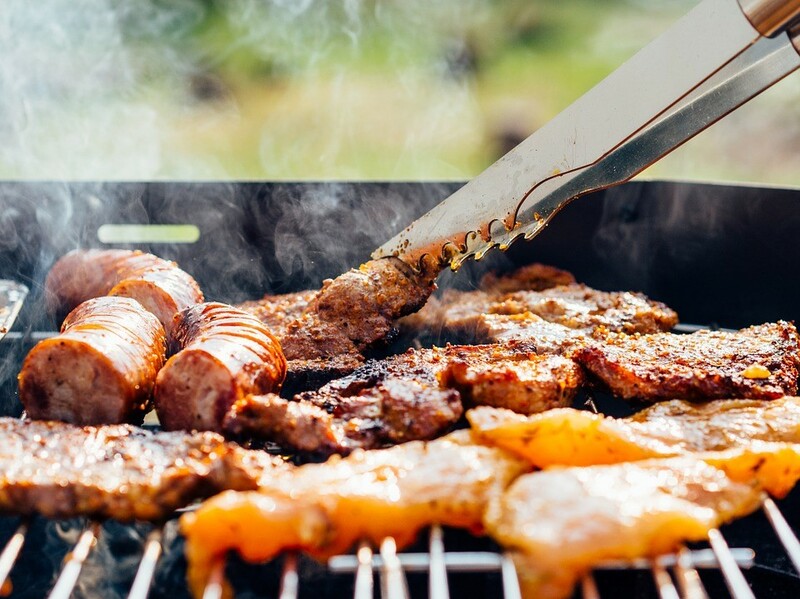 Some amazing party organizing apps such as BBQ Planner, WagJAg, and The Pit Pall help you decide the amount of food required for grilling, the number of pounds of meat needed per person, and how much would the party cost. This way you can delight your guests with a sumptuous meal while staying within the budget. Decide in advance whether you are going to have hotdogs, beef briskets, steaks, ribs, or hamburgers. Add an element of surprise by skipping some items from the traditional barbeque menu and opting for some unique items such as grilled lamb kofta, Tahini Sauce, and Spring Chickpea salad to wow your guests. Once you zero in on your favorite meats and marinades, add them to the shopping list. Remember to make a detailed list of ingredients for every dish and cocktail, and double-check before shopping so that you don’t miss out on anything. If you prefer socializing with your guests rather than standing behind the counter, make sure that you have a self-serve drink station. 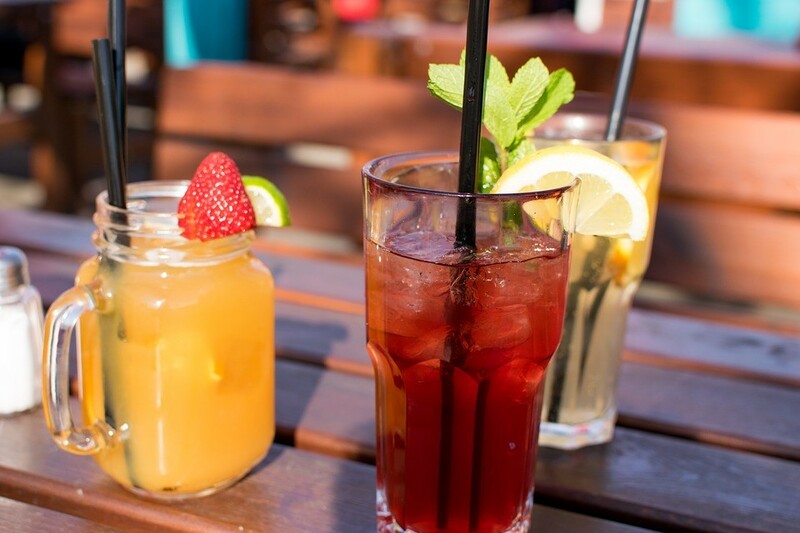 From cocktails to iced tea coolers, ensure that everything is put in pitchers so that your guests can serve easy. Go for plastic or Mason jar glasses with handles, but make sure that they are not heavy. Also, keep a cooler for ice and a bottle opener handy before serving. Keep enough outdoor chairs and patio seating ready so that everyone finds a place to sit and enjoy your lovely BBQ party. Have a couple of tables or stands near the seating area so that everything your guests need is right across the table. Also, it is good to keep a space inside the house ready just in case the weather plays spoilsport. Use a bright tablecloth and put some vibrant flowers to brighten up the surroundings. Add some banners, fabrics, or other casual décor to make the place look beautiful. Keep some extra lighting such as candles and lanterns as your guests might want to stick around till the evening. Fun games are a great way to bring everyone together and keep the party going. Whether you are planning to play Yard Yahtzee, Giant Jenga, or a potato sack race make sure that there is something for all the ages. While the kids would prefer hopping around, some people might prefer light games on full bellies. All said and done, check your BBQ in advance and ensure that it is clean and ready for the big day before you take it out of the kitchen. Gather all your grilling equipment such as spatulas, forks tongs, and oven mitts. Don’t miss out on serving platters, plates, bowls, cups, toothpicks, table cloth, napkins, and a cutting board. Also, make sure you have adequate fuel to get the party going. So gear up to have some fun at your BBQ party with scrumptious food, lovely drinks, and breezy outdoor games! Are you a food lover? Treat your family with the best-ever family dinner with help from some of the most delicious barbecue recipes out there. Barbecue is known to be one of the oldest, traditional methods of cooking. The modern barbecue has come a long way from the conventional pit barbecue that evolved in the Caribbean to the world-famous Indian Tandoor. The various cultures across the world have adopted the BBQ cooking recipe with a tinge of their own exquisite flavors. Barbecues are not just about preparing a great meal based on the meat recipes. There are plenty of vegetarian options as well. Right from the chicken gyros to meaty medleys, veggie barbecued potato recipes, and so more –there is much more to the famous Barbecue recipes that your family is simply going to love. BBQ Chicken Recipe: If you are counting calories with every bite you intake, the particular guilt-free BBQ chicken recipe is a must-try. This low-calorie barbecue recipe involves an easy-to-follow preparatory process in which the chicken is marinated in the homemade barbecue sauce, and then grilled. Barbecue Chorizo Potato Salad: Spice up the homemade potato salad along with some fresh slices of BBQ Chorizo. The intense, smoky flavors of paprika from the sausage are made to balance perfectly with the help of the cool, creamy dressing of the salad. Crispy Sweet Potatoes with Tahini Yogurt and Chickpeas: If you are a veggie-lover, then every barbecue requires the main dish to be balanced perfectly in terms of the overall flavors that every meat eater might get jealous of. The BBQ crispy potatoes with chickpeas & Tahini yogurt along with the sweet, tangy flavors of pomegranate seeds turn out to be the perfect combination that your family will love. You can also try trying out citrus dressing for an ultimate taste. Beef & Red Pepper Burgers: Pack up some non-vegetarian flavors into your dish with the help of the exclusive Beef & Red Pepper Burgers in the given BBQ menu. The recipe containing roasted red pepper and carrot would add special flavors to the dish ensuring additional nutritional benefits to the amazingly, kid-friendly treats. If you are looking for something extra crunchy, then you can add some fresh, crisp potato wedges to the BBQ recipe as well. Make the most delicious meals with the help of these BBQ recipes.